Lead rolls are a proven solution for both pitched and flat roofing applications. It is compatible with a vast range of roofing materials and provides a traditional aesthetic for decades. The combination of our high quality lead flashing rolls and a qualified tradesman will provide you with the utmost confidence in the water tightness of your roof. All our lead rolls are crafted by British Lead, the UK’s leading manufacturer of rolled lead sheets. From their Mill in Hertfordshire, they produce lead that is fully BS EN 12588 : 2006 compliant. This guarantees that they have a consistent thickness throughout and the necessary level of trace elements. 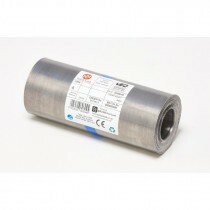 You can utilise our 3m or 6m lead flashing rolls on a variety of applications. This includes parapets, dormers, bay roofs, flat roofing and more. 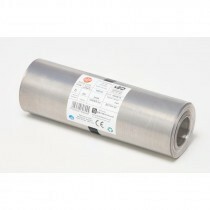 We also offer Code 3, Code 4, Code 5, Code 6, Code 7, and Code 8 lead rolls in a handful of widths. This allows you to minimise wastage on your leadwork. Have More Questions About Our Lead Rolls? If you have more questions about our lead flashing rolls, speak to our team online or by telephone. With over 40 years of experience in roofing, we’ll help answer your questions about our range of leadwork materials. We will also help you pick the necessary ancillaries and tools for your project. Buying roofing materials can be daunting, especially when ordering them online. With over 40 years of experience in roofing, however, we get asked lots of questions about our growing range of lead flashing rolls. Here are some of the most common questions with answers for each! Which Lead Code is the Right Choice For You? The table below shows the thickness and weight of each lead code. You can find out more about the suitable applications for each code in our guide. Alternatively, speak to our team online or by telephone. What is the Life Expectancy of Lead Flashing Rolls? 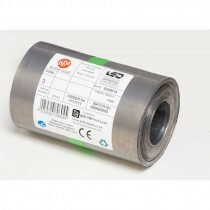 British Lead provide a 50 year warranty with all of their lead rolls. In reality, however, has a life expectancy well beyond 50 years. This is assuming you have used the recommendedd fixing methods and, when necessary, performed maintenance on your leadwork. Why Does Lead Cause Staining to Adjacent Roof Tiles? Newly fitted lead forms a natural patina when it comes into contact with rain. This substance will often run off the lead and onto adjacent materials, which may cause an unsightly white stain to form. You can avoid this by treating your lead with patination oil shortly after it has been fitted. What Else is Needed to Fit Lead Flashing Rolls? In addition to your lead rolls, you will need a sealant and fixings. These help to prevent any water ingress behind the lead when placed against a wall and ensures your lead remains secure for decades to come. Why Does the Price of Lead Fluctuate? Like any metal, the price of raw lead changes regularly. This is determined by availability and demand, which also changes regularly. 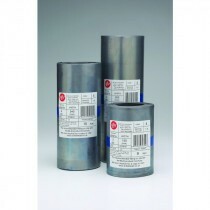 Roofing Megastore update our prices regularly to ensure you're always making mega savings on lead rolls. If you have more questions about our roofing materials, speak to our team online or by telephone. With over 40 years of experience in roofing, we'll help answer your questions and will ensure you have everything you'll need to complete your project.